When you choose Illinois Registered Agent, Inc., you add a corporate paralegal to your team! 2. Click on the entity type and desired delivery method that you would like from the list below. 3. 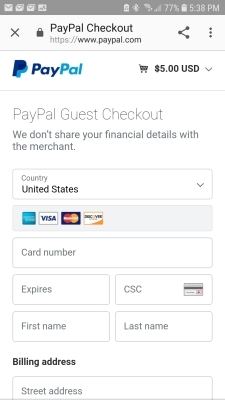 Process your payment through PayPal. You will be directed to our information immediately upon confirmed payment through PayPal. We will send an additional written confirmation by email to the individual(s) listed on the Required Info form upon reciept of PayPal payement confirmaiton.